Jewish Tradition has always promoted a loving approach from one individual to another. We are dedicated to making the richness of our Jewish heritage accessible to the contemporary Jew, every Jew, no matter what their affiliation or level of religious observance. 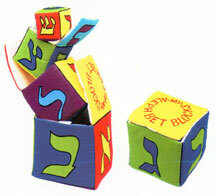 Chabad is world renowned for its great emphasis on Jewish childhood education. Chabad of Wyoming offers some fantastic ongoing opportunities for children to learn about our age old traditions in a hands on, modern and caring atmosphere. Chabad's teachers are carefully selected for their extensive knowledge of Judaism and their dedication to children. Each teacher lives and breathes what he or she teaches, providing the best possible model for our students. Staff members have Rabbinic ordination, extensive Hebrew language skills, and/or attended teachers’ seminaries. Through their education they have learned the strategies to successfully share Judaism with children of all levels of knowledge and ability. Below we have listed some programs we provide. Click here to let us know which programs interest you. If you can’t find what you are looking for, let us know, so we can best serve your needs.